I have a a couple of baby cards to share. I just love making baby cards with the baby's names on them. These were both very quick one to make. 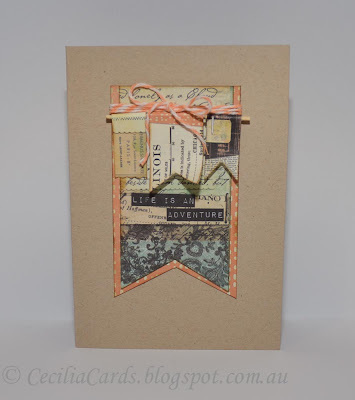 The plain patterned papers were backed with cardboard before I diecut the alphabets for the first card. 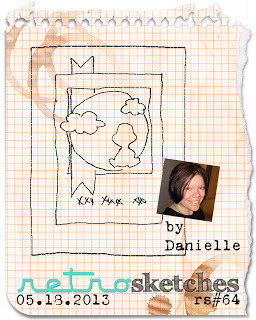 The card for Chole was made based on this week's Retro Sketch. 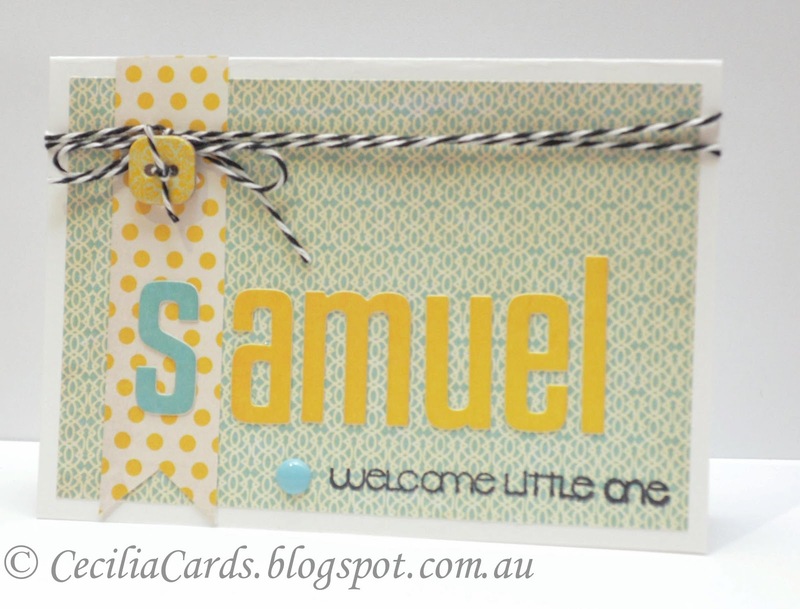 I'm submitting the card for Samuel into this week's Simon Says Stamp - Anything Goes challenge. Thanks for dropping by! 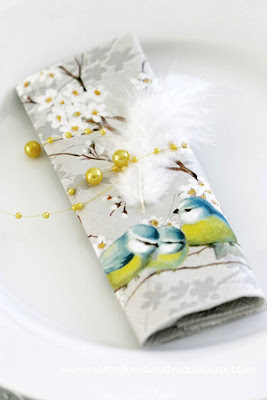 I've had a really great crafting weekend this weekend, the creative juices are still running! I made 2 more cards last night for a publication submission and submitted them way before the due date (this is a record for me)! I had so much fun doing them last night that I forgot I was going to do one for the Papertrey Ink May Blog Hop this weekend and it is due in less than 3 hours! Yikes! 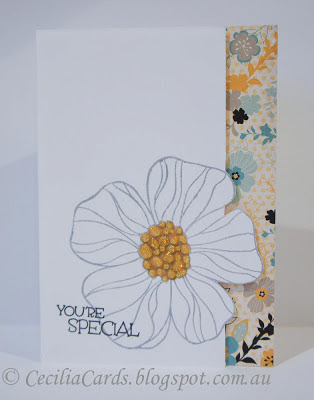 So first thing this morning, before a shower or breakfast, I made this card with a cup of tea by my side! 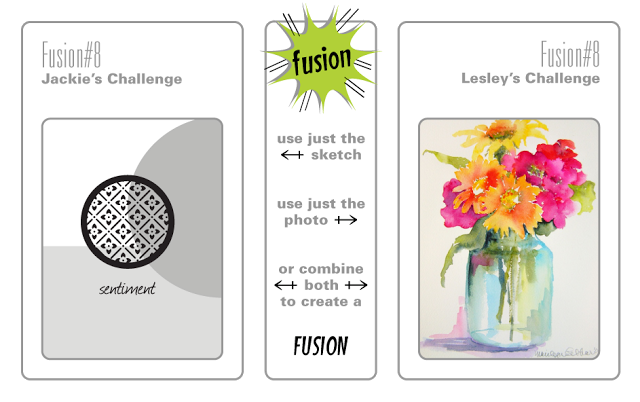 I also based the sketch on the current Fusion challenge. Thanks for dropping by... I'm off to have breakfast and a shower! 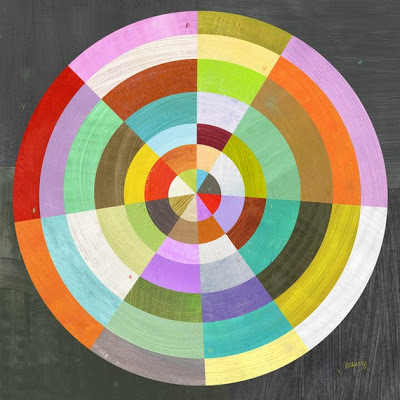 My creative juices have been running on overdrive! 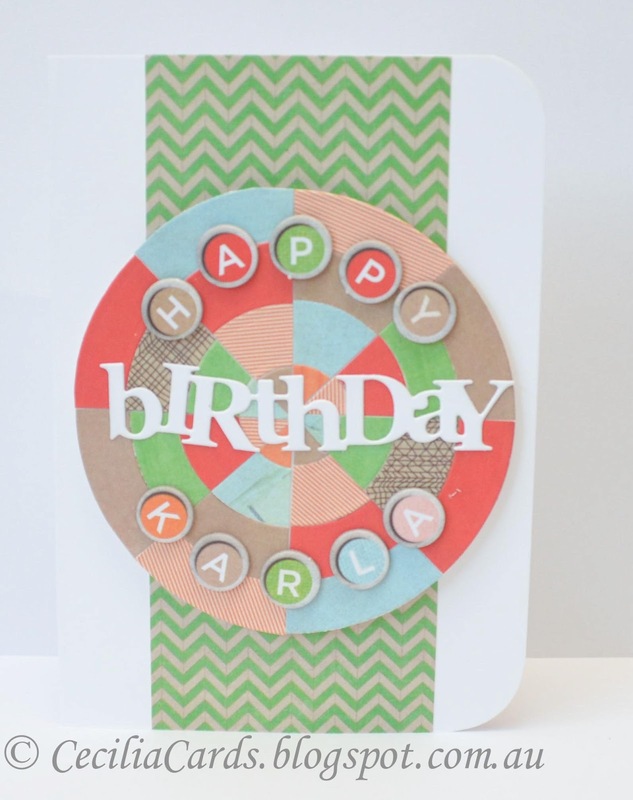 I've been dying to make this card all week ever since I saw the paper piecing video by Melissa on Nicole Heady's Make It Monday. I was also waiting for my Ellen Hutson order for the Hero Arts medallion embossing folder. This arrived on Thursday and here is my creation. I'm also submitting this card to CASE study #142. I'm using Flickr for the first time to link photos on my blog. Hope it looks OK! 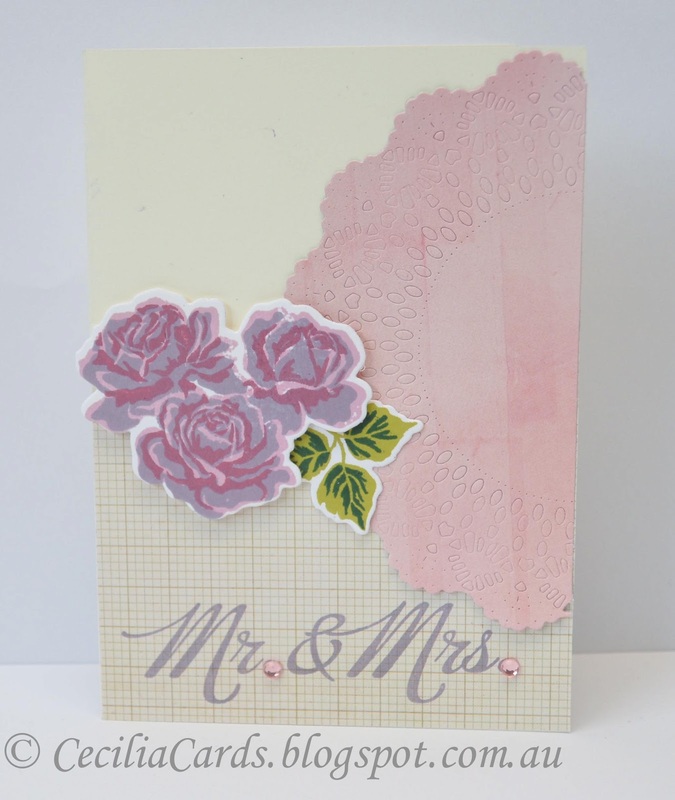 For those wondering about my Kaisercraft DT call - I've just submitted 2 cards, 2 layouts and an OTP project last week. The projects are due in on Monday 28th, so I got them off early. The cards were very easy to do as the papers were very nice, but the layouts were a bit of a challenge, hope the judges like them! I made a series of Christmas tags for the OTP project as I figured they were easier to package and send off with the layouts. Nervously awaiting the next email! Thanks for dropping by! 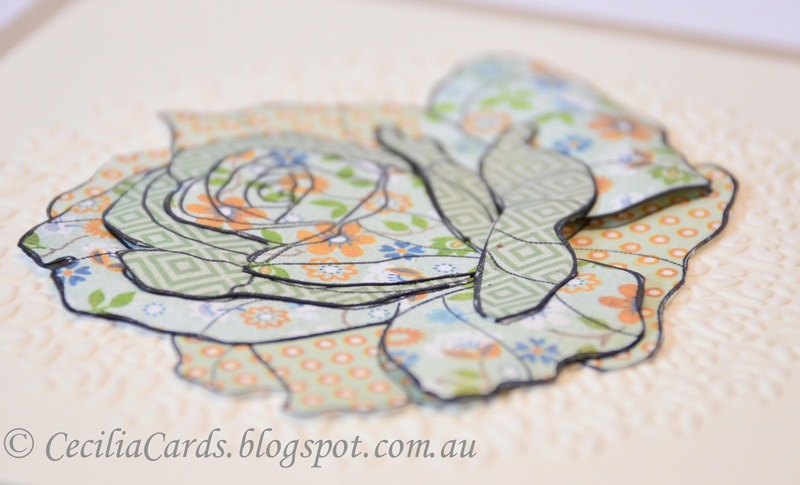 A close up of the paper piecing and layers. This is my third entry to Paper Crafts Gallery Idol 2013 (only 3 allowed per person). 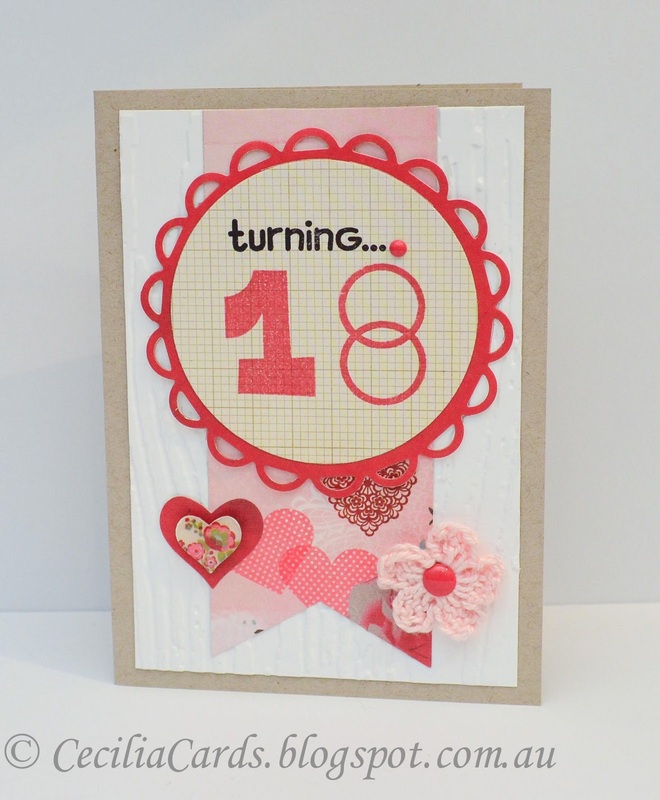 I needed to make an 18th birthday card for my niece and was waiting for my new Paper Smooches stamp set to arrive. It came yesterday and I made this card last night. I love the quirky numbers! I also received a prize that I won from Scraps of Me's Blog Candy Giveaway last month. I used the embossing folder from my prize on the white cardstock. Thanks Paula! The little heart (although hard to see from the photo) was covered with glossy accents. I can see more cards coming up with numbers!! 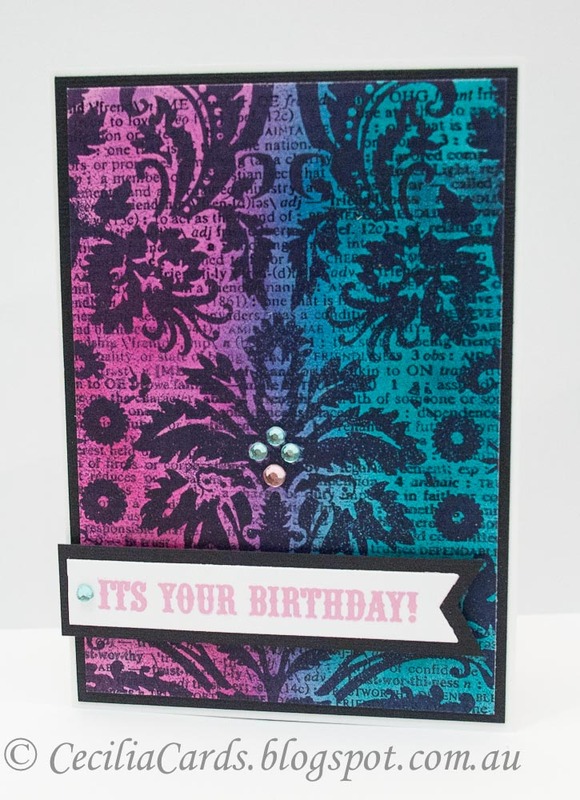 When I saw this week's Moxie Fab World Tuesday Trigger, I knew what papers I wanted to use. 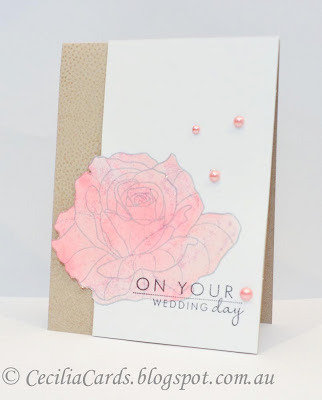 I recently got the Kaisercraft Porcelain Rose collection and this is just perfect for this week's TT! I based my card on the Cardabilities Sketch #75. I didn't want to spoil the design of the card with a sentiment, so I decided not to add one. I was lucky to find a feather to add to the card - this is left over from a fascinator I made many moons ago! Thanks for dropping by! 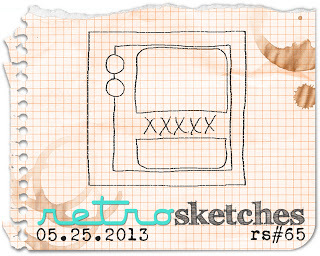 Back with a CAS card for a few challenges based on the current Retro Sketch#64. I've used the lovely papers from Fancy Pants (my favourite at the moment) and added a crochet flower using twine from The Twinery. 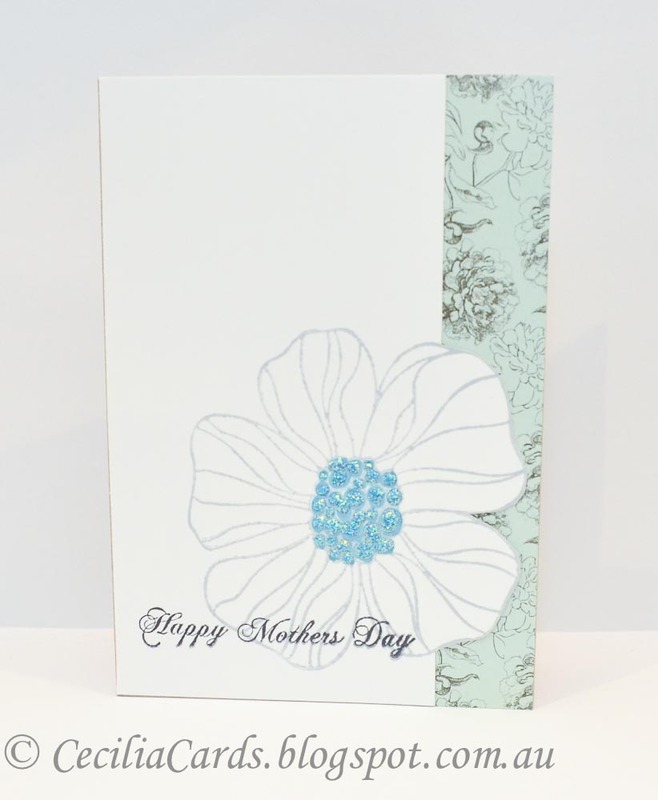 I'm adding this card to The Twinery's May Flowers , Simon Says Stamp Flower Power and A Blog Named Hero's Clean up your act challenges. I dedicate this card to Maddy who is having a tough time with cancer - this card is on the way to her. Details of Cards for Maddy can be found here. I've been missing a few of the last MFW TT due to being busy with my Kaisercraft DT submissions. They are now finished and now I have time to play! 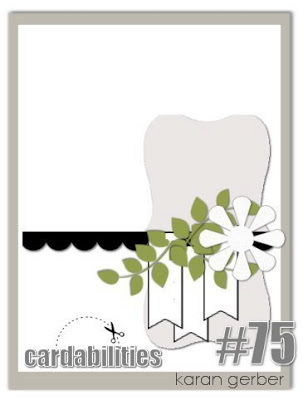 I'm also submitting this card to the Paper Crafts Gallery Idol Audition. Thanks for dropping by! This is another 90 minute Scramble card from the Hero Arts Flickr group this morning. Twice a month, members of the HA Flickr group host a challenge set at a particular time. The challenge is posted at the start of the scramble and you have 90 minutes to upload the card to the group. I've participated in quite a few of these challenges and they are fun and sometimes challenging. As most of the members are from the US, the times are sometimes not suitable. The one this morning was at 6am Aussie time, so it suited me. 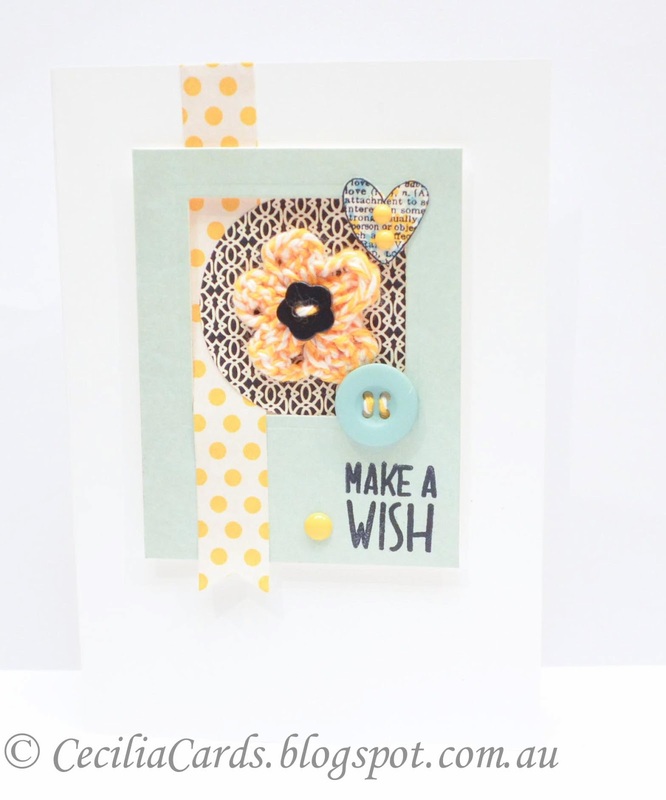 The challenge today was to make a card with music/stars/moon/no green/no black or brown. This theme had me stumped as I had no HA music or star stamps. 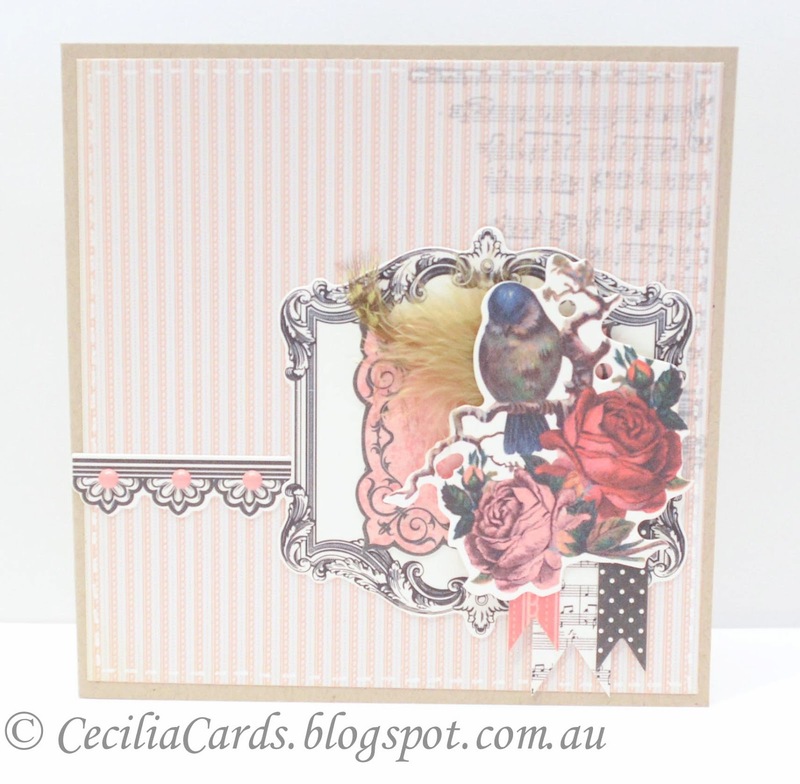 I decided to use a music patterned paper as the background and overstamp with the HA Leafy Vines stamp (one of my favourites). After inking with distress inks, I die cut the moon out and mounted on white card stock. Here is my card and thank you for dropping by! Back with a quick card I made for my 13 year old niece's birthday. I started off wanting to do a card based on the current MFW Tuesday Trigger and ended up with a completely different card. The only element that I kept was the the colour pink! Anyway here is my card with some colouring using distress markers. I've decided to enter this card to CASology:Week44-Bloom and Simon Says Stamp Flower Power challenges. Thanks for dropping by! 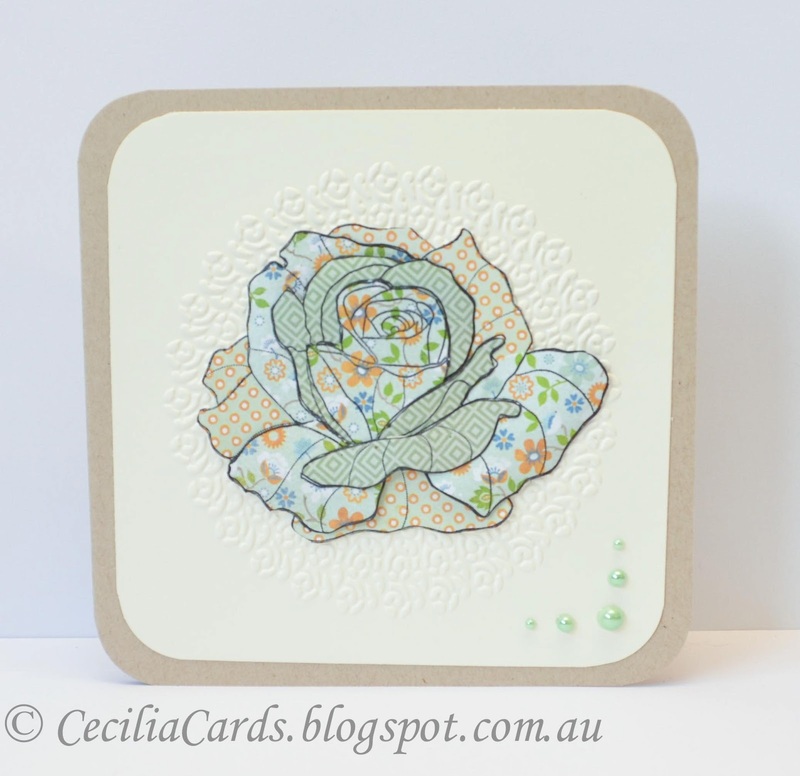 When I saw this rose stamp on the Pattern Play online class, I wanted it straight away. I received it last week and couldn't wait to ink it up. Sorry to bore all my followers, but I just love the Case Study card so much that I just had to case it .... again! 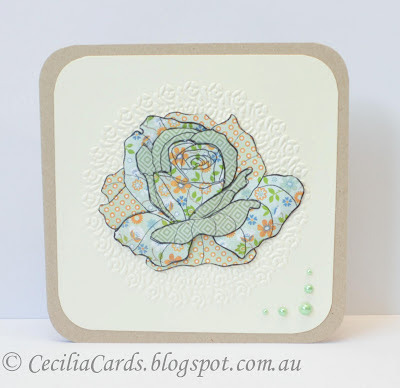 I coloured the rose by masking and sponging with distress inks. Afterwards I smeared stickles over it. I love the effect! Thanks for dropping by, I promise that this will be the last card I make with this design. Did I mention I love it? Thanks for dropping by! I've got more good news to share! I applied for the 2013 DT for Kaisercraft a few weeks ago and was not expecting to hear from them. Lo and behold, an email was received last week informing me that I have been selected for the next round! Yikes! I will be sent 2 new collections and I have to make 2 cards, 2 layouts and one OTP project. Layouts are not my forte.... but I'll give it a go! 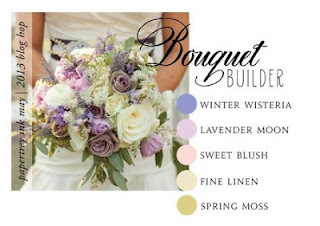 I cannot blog these projects until the collections are released - they are both gorgeous and I'm going to have fun with them! 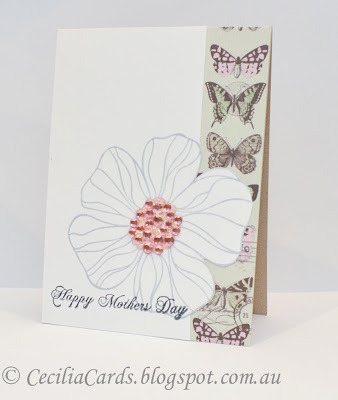 I've been so busy that I almost forgot that I have two more Mother's Day cards to make. Yes, I make cards for 3 Mums, my own, my partner's and my ex's. This one I made a few weeks ago. I loved the Case Study this week so much that I made more cards based on Maile Belles' card. I've ordered another Happy Mothers Day stamp, but it has not arrived yet. So I'm going with the only stamp I have, which happens to be a Kaisercraft stamp! 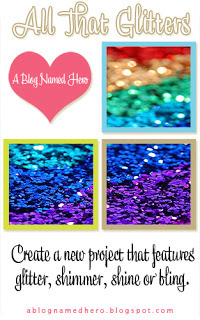 I'm also submitting these cards to A Blog Named Hero's All That Glitters challenge. For all the Mums out there, have a great weekend! 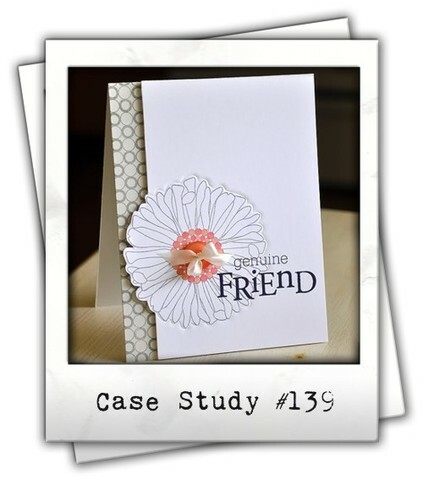 When I saw the gorgeous card on CASE Study by Maile Belles, I wanted to case it. This morning I participated in a 90 minute scramble on the Hero Arts Flickr group hosted by Marcy, and based my card on it. I used all Hero Arts stamps on this card and I'm also submitting this card to A Blog Named Hero's All that Glitters challenge and Simon Says Stamp's Happy Mail challenge. I also have a bit of good news to share, another card of mine got accepted for publication in the Paper Crafts Magazine Nov/Dec issue! Yay! Thanks for popping by! Hi All! I've been MIA from the blogging world as I have been busy with my other hobby. We had invited instructors from Singapore and Malaysia to teach my team the art of Dragon Dance. We had 4 days of intensive training and I also took a few days off so that we showed off a bit of sights around Melbourne. So now, back to normal! I have a bit of good news to share. I submitted for Kaisercraft DT call last week (emailed it at the last possible minute as I only found out about it half an hour before the deadline). I just received an email informing me that I am into Round 2! So they are sending out some papers from two yet to be released collections and I have to make 2 cards, 2 layouts (this is going to be hard!!) and a OTP project (I have one that I was gonna do one day...) So I will be a little quiet on the blogging world this month as I have 4 weeks to submit them. Anyway, I made 6 cards for the latest Paper Crafts Paper Savvy publication call. I was very excited that one got picked! This will be my second card with PC Mag! Here are some of rejects, the others got re-submitted for another publication. Thanks for dropping by! This first one was submitted in the Colouring Media category. This second one was made with a recent Retro Sketch. 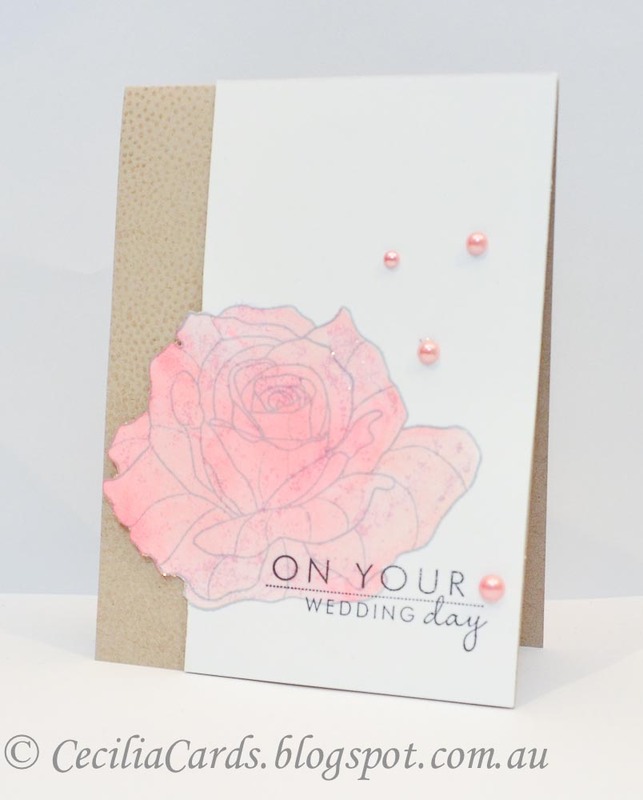 I liked it so much as it matched the elements used for the category Ready made embellishments using Basic Grey Serenade with no stamping!